The ARRL Board of Directors has elected ARRL First Vice President Rick Roderick, K5UR, of Little Rock, Arkansas, as ARRL President. 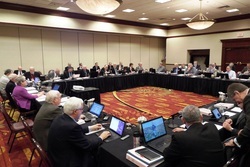 The Board took the action as it convened for its 2016 Annual Meeting January 15-16 in Windsor, Connecticut. Roderick, 63, officially assumed office for a 2-year term at the conclusion of the Annual Meeting. 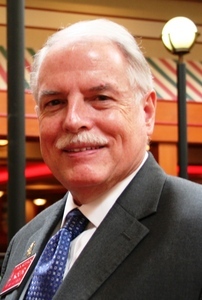 He is the ARRL's 16th president, succeeding Kay Craigie, N3KN, of Blacksburg, Virginia, who had served for three terms since being elected in 2010. A ham for 48 years, Roderick is an attorney. He has served on the ARRL Board of Directors for 24 years and is an enthusiastic Amateur Radio operator and DXer on HF and VHF/UHF. He and his wife Holly have two adult children. The Board also chose other officers, electing Dakota Division Director Greg Widin, K0GW, of Stillwater, Minnesota, as First Vice President, succeeding Roderick, and Rocky Mountain Division Director Brian Mileshosky, N5ZGT, of Albuquerque, New Mexico, as Vice President, succeeding Jim Fenstermaker, K9JF. Roderick, Widin, and Mileshosky all are ARRL Life Members. Fenstermaker was later named by the Board as an ARRL Honorary Vice President. As a result of the Vice President election, Rocky Mountain Division Vice Director Dwayne Allen, WY7FD, of Sundance, Wyoming, has become the new Division Director, succeeding Mileshosky, while Dakota Division Vice Director Kent Olson, KA0LDG, of Horace, North Dakota, has become the new Division Director, succeeding Widin. President Roderick will fill the Vice Director vacancies. In other action, the Board re-elected International Affairs Vice President Jay Bellows, K0QB, Chief Financial Officer Barry Shelley, N1VXY, and Chief Technology Officer Brennan Price, N4QX. The Board also elected one new member to the Executive Committee, which can act on the behalf of the Board between its two yearly meetings in January and July. Delta Division Director David Norris, K5UZ, will replace New England Division Director Tom Frenaye, K1KI, on the panel. The other Director members are Hudson Division Director Mike Lisenco, N2YBB; West Gulf Division Director Dr David Woolweaver, K5RAV; Pacific Division Director Bob Vallio, W6RGG, and Great Lakes Division Director Dale Williams, WA8EFK. ARRL Chief Operating Officer Harold Kramer, WJ1B, also was attending his final meeting in an official capacity. He will retire on March 1 after about 11 years at ARRL Headquarters. The Board considered the recommendations of the CEO Search Committee and selected a candidate to succeed ARRL Chief Executive Officer David Sumner, K1ZZ, who is retiring this spring after 44 years on the ARRL Headquarters staff. A formal announcement is pending. In other action, the Board approved an annual budget that contains an operating surplus this year, in the wake of a deficit last year. The overall budget was $15.3 million, approximately the same as the previous year's spending plan. Newly elected ARRL President Rick Roderick, K5UR, will make his first official convention visit as he heads a League contingent at the ARRL Puerto Rico State Convention later this month in Hatillo, Puerto Rico. "The Organizing Committee of the convention is pleased to know that President Roderick will be attending and has chosen to participate with us," said Convention Chair José Vicéns, NP4G. Other League officials expected to attend include Southeastern Division Director Doug Rehman, K4AC, and General Counsel Chris Imlay, W3KD. "I am looking forward to seeing everyone at the ARRL Puerto Rico State Convention," President Roderick told the Organizing Committee. The January 30-31 event, the 4th Puerto Rico State Convention, will be dedicated to emergency communication. The Caribbean Amateur Radio Group, the Puerto Rico Amateur Radio Group, and the city of Hatillo are co-sponsoring the gathering in the Francisco "Pancho" Deida Coliseum. More than 1200 are expected to attend the largest Amateur Radio event of the Caribbean. Admission is free. In addition to forums, exhibits, and Amateur Radio examinations, special event station KP4AW will be on the air from inside the coliseum. An Amateur of the Year Award will also be presented, and the Coquifest 2016 get-together will be held on el Gran Parque de Hatillo on Saturday evening. As both were on the threshold of departing their official positions with the League, then-ARRL President Kay Craigie, N3KN, presented ARRL CEO David Sumner, K1ZZ, with the ARRL President's Award. The presentation came during the ARRL Board of Directors' Annual Meeting January 15-16 in Windsor, Connecticut. She also recognized two Board members for their 50 years of League membership. 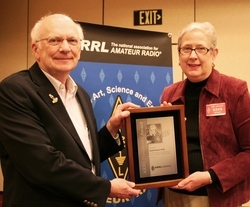 The legend on the ARRL President's Award plaque recognizes Sumner "for lifetime dedication to advancing the art, science, and enjoyment of Amateur Radio." Sumner announced last year that he would be stepping down at the end of May after 44 years on the ARRL Headquarters staff. Licensed in 1962, Sumner has been engaged in Amateur Radio in the domestic and international arenas for most of the years since. Sumner is an active contester and DXer and renowned for the breadth and depth of his knowledge and expertise in Amateur Radio. The ARRL has honored veteran AMSAT personality and Amateur Radio digital pioneer Tom Clark, K3IO (ex-W3IWI), with its President's Award. Then-ARRL President Kay Craigie, N3KN, presented the award plaque to Clark at a January 10 meeting of the Potomac Valley Radio Club in Blacksburg, Virginia. The plaque, which bears a likeness of ARRL Co-Founder Hiram Percy Maxim, W1AW, recognizes Clark's 60 years of advancing Amateur Radio technology. "In addition to his work with AMSAT, Tom was a leader in the development of the AX.25 packet radio network in the 1980s, when he was W3IWI. Anyone who was on packet in the 1980s knew that call sign," President Craigie said. "I recall attending a forum he gave on packet radio at a hamfest in Baltimore in the 1980s, when people on the East Coast were just getting interested in the mode and its possibilities." Clark was a TAPR director during the heyday of packet radio forwarding, and TAPR's significance was huge, she said. Former AMSAT President and current AMSAT Director Bob McGwier, N4HY, was more direct. "There would be no AMSAT to inspire all of this work without Tom Clark," he said, noting that the organization had been in serious trouble after the Phase 3A satellite launch failure. "Tom took over as president of AMSAT, and he saved the organization and inspired all of us to look to the future and aim for the stars," McGwier said. "All that has followed, including PACSAT and microsats, CubeSats, AO-13, all the way through AO-85, are a direct result of Tom Clark saving AMSAT and providing it leadership as president from 1980 to 1987 and continuous leadership on the Board of Directors of AMSAT from 1976 until today." Read more. 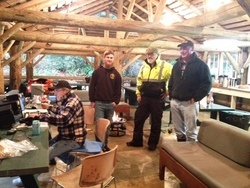 Great pileups were reported from many National Parks on the Air (NPOTA) activators over the January 16-17 weekend. We're getting more and more comments from participants who are catching "NPOTA Fever" and beginning the chase. At three weeks into the year-long event, we've seen nearly 200 of the 483 NPOTA units activated -- an amazing level of participation! Several Chasers are taking the event seriously as well; 11 Chasers have more than 100 NPOTA units confirmed, and 84 have 50 or more units in the bag. And it's still mighty cold in a large part of the county...just think what activity will be like when it warms up a bit. NPOTA Managers Sean Kutzko, KX9X, and Norm Fusaro, W3IZ, are talking NPOTA, ham radio, and RVing on this week's RoadTreking.com podcast, "Reliable Communications for the RVer," hosted by Mike Wendland, K8ZRH, an NPOTA Activator. Time is tight to order ARRL National Convention Banquet tickets and to make your plans to attend the Convention February 12-14, hosted by the popular Orlando HamCation®, which celebrates its 70th anniversary this year. The banquet will take place on Saturday, February 13, at 6:30 PM, with ARRL CEO David Sumner, K1ZZ, as the keynote speaker. Guests also will hear from and get to meet the League's new President, Rick Roderick, K5UR. Master of Ceremonies will be ARRL Southeastern Division Director Doug Rehman, K4AC. Banquet tickets will be available until January 31. The ARRL cannot guarantee that any tickets will be available for sale during the convention. The Convention and HamCation have plenty of activities to offer, and, of course, it's a great place to meet with friends you haven't seen for a while. ARRL's exhibit area will highlight the various aspects of League services, including the ARRL Education & Technology Program (ETP), Public Service, Radiosport and DXCC card checking, and The Amateur Radio Parity Act. Visitors not only will be able to peruse the many and varied ARRL publications and gear, but ARRL staff will be on hand to help generate and send letters to Members of Congress to urge their support of The Amateur Radio Parity Act. ARRL Laboratory representatives will test your handheld radio. It's also an opportunity to learn more about the ARRL National Parks on the Air (NPOTA) event, which continues through the end of the year. On Saturday afternoon, younger visitors -- licensed or not -- can participate in a hidden-transmitter hunt -- a foxhunt -- using a receiver and directional antenna. Download the entire ARRL National Convention Exhibit & Activities Guide (PDF) so you won't miss anything. More information is available on the ARRL National Convention web page. Read more. 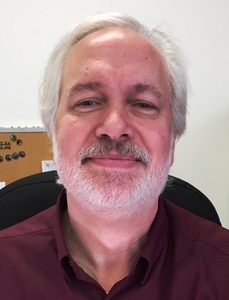 Former ARRL staffer Bart Jahnke, W9JJ, is the League's new ARRL Contest Branch manager. Jahnke returned to ARRL Headquarters on January 4 after a decade away, working in the customer service, manufacturing sales and support, and information technology fields in the Midwest and on the East Coast. He succeeds Matt Wilhelm, W1MSW, who resigned last year. "It is great to be back at ARRL and to see the faces of many friends still here -- and still dedicated to serving Amateur Radio -- as well as new faces, new friends, to join in the journey," said Jahnke, who previously spent nearly 20 years at Headquarters. "With continued strong activity comes our obligation to produce and release results as rapidly as possible." Jahnke said he hopes -- with the help of Headquarters staff and volunteer data processers and log checkers outside Headquarters -- to make things happen more rapidly and efficiently, processing logs and publishing contest results without compromising the integrity of the current system. "We need to continue to work smarter, not harder, to serve the contest community," he said. Jahnke served as ARRL Volunteer Examiner Coordinator (VEC) Manager from 1989 until 2005. He initially joined the ARRL Headquarters staff in 1985, starting out as editor of the ARRL Repeater Directory. Jahnke said that while his primary interest during his 36 years in ham radio has been volunteer activities and "weak-signal" VHF, UHF, and microwave contesting, meteor scatter, and EME work, he has also enjoyed casually operating in HF contests. He concedes, however, that it may be time to "add some forte to my low bands!" As he nears retirement, ARRL CEO David Sumner has been honored by the Dayton Amateur Radio Association (DARA), which sponsors Dayton Hamvention®. Sumner had been invited to speak at DARA's January 8 meeting, purportedly to recount his many years with ARRL. While such out-of-town speaking engagements are not out of the ordinary for him, something he wasn't anticipating awaited him at this event. DARA President Don Dubon, N6JRL, presents the "Outstanding Career and Service to Amateur Radio" award to ARRL CEO David Sumner, K1ZZ. "Dave provided a great insight into the mission of the ARRL, but our club had some surprises," said DARA President Don Dubon, N6JRL. The Dayton Amateur Radio Association honored Sumner with a plaque noting his "Outstanding Career and Service to Amateur Radio." The club also made him a "Gold Card" lifetime member of DARA, an honor bestowed on very few, Dubon said. In addition, the ARRL Ohio Section presented him with a Special Recognition Award. "I am very pleased that the relationship between DARA and the ARRL has blossomed into one of the outstanding partnerships in organized Amateur Radio," Sumner said. A reception attended by some 160 DARA members followed the meeting. 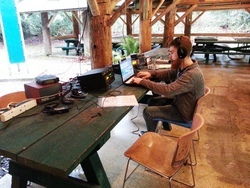 Jean Morgan, KG7NJQ, operates SSB during the 2015 Winter Field Day near North Bend, Washington. believe that getting ready for emergency communication in a winter environment is just as important as the preparations and practice that take place at ARRL Field Day each June, all while taking some additional unique operational concerns into account. The WFDA points out that disasters are unpredictable, and its goal is to help enhance operators' skills and prepare for all environmental conditions typically found in the US and Canada throughout the entire year. The event is not restricted to North America. All Amateur Radio operators around the world are invited to participate. Operation will be on all HF bands except 12, 17, 30, and 60 meters. The event runs 24 hours. US and Canadian stations exchange call sign, operating category, and ARRL or RAC section. The rules are similar to those for the ARRL Field Day, held in June. 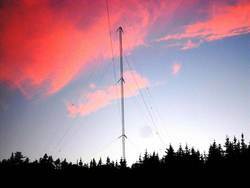 US and Canadian radio amateurs and experimenters will join forces in February for the first Midwinter 630 Meter Activity Weekend. The event will get under way at 0000 UTC on February 6 (Friday, February 5, in US time zones) and runs through 2359 UTC on February 7. "This event is being undertaken because of the new and quickly growing interest in present 630 meter activities, both in the US and Canada," said ARRL 600 Meter Experimental Group (WD2XSH) Experiment Coordinator Fritz Raab, W1FR. "Much of the interest is in response to the strong likelihood of US amateurs receiving access to the band in the near future, while Canadian hams are eager to learn more about the present level of Amateur Radio activity on their newest ham band." The activity weekend comes on the heels of a special event operation over the November 13-14 weekend that included participation by US and Canadian radio amateurs, and the Maritime Radio Historical Society (MRHS). Raab said the two activity nights will offer interested amateurs in both countries an opportunity to experience the 630 meter band and, through crossband activity with Canadian amateurs, to take part in activity in the MF spectrum. "Our hope is to see this activity become an annual operating event, to be held every winter on the 630 meter band," Raab said. "For those who may be building for future 630 meter operation, this event will provide an opportunity to test your 'receive' capabilities on MF." Operation will be from 472 kHz to 479 kHz in various modes. Several Canadian stations will undertake two-way crossband work, all on CW. Submit reception reports via e-mail to the respective operators or via the ARRL 600 Meter Experiment website. Read more. NASA prematurely terminated a January 15 extra-vehicular excursion (EVA) - or spacewalk - that Astronauts Tim Peake, KG5BVI, and Tim Kopra, KE5UDN, had been undertaking since early that morning. The two were replacing a voltage regulator near the solar arrays that had failed in November outside the International Space Station (ISS) when Kopra reported what NASA Control called "a small amount of water" inside his space helmet. NASA cut the spacewalk short at about 1700 UTC. The incident recalled the 2013 problem suffered by Astronaut Luca Parmitano, KF5KDP, when his helmet inexplicably began filling with water. The situation became urgent by the time Parmitano and fellow spacewalker Chris Cassidy, KF5KDR, were ordered back into the ISS. NASA subsequently blamed the water buildup on unexplained cooling system issues. The January 15 spacewalk was the first for Peake, and the third for Kopra. Peake, the first UK astronaut, and Kopra arrived at the ISS in December. All Amateur Radio equipment on the ISS is routinely shut down during EVAs, effectively postponing planned commemorative slow-scan TV transmissions. Time Running Out to Order ARRL 2015 November Sweepstakes Pins and Mugs: Orders for 2015 ARRL November Sweepstakes participation pins and mugs must be placed by month's end. Those submitting logs with more than 100 contacts qualify for a Sweepstakes Participation Pin. Anyone managing a "Clean Sweep" by working all 83 ARRL/RAC sections qualifies for a Clean Sweep coffee mug. All pin/mug orders need to be postmarked by January 31, 2016. To order a Sweepstakes pin or mug, send either a copy of your Sweepstakes summary sheet or a copy of the first page of your Cabrillo file along with your check payable to ARRL. Sweepstakes Participation Pins are $8; Clean Sweep Mugs are $15 this year, including shipping. Send orders to ARRL November Sweepstakes Pins/Mugs, 225 Main St, Newington, CT 06111. These items are not stocked. The ARRL places its order once it's known how many have requested pins and mugs. Items will be shipped after all contest entries and all pin/mug orders have been processed and verified, which should happen by April. 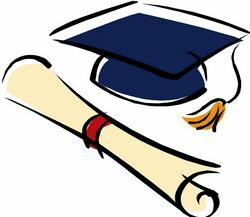 Foundation for Amateur Radio Invites Scholarship Applications: The Foundation for Amateur Radio Inc (FAR) invites applications for the 2016-2017 academic year for the 46 scholarships it administers. Applicants must hold a valid Amateur Radio license and be enrolled or accepted for enrollment at an accredited university, college, or technical school. Applicants attending schools outside the US must provide a brochure describing the school. Students do not apply for specific scholarships; each application will be considered for all of the scholarships for which the applicant is qualified. In order to be considered for the Chichester and QCWA scholarships, applicants must obtain the appropriate recommendations. Applications must be submitted by April 15, although applicants may edit their applications until May 7. Data entered onto the application goes directly into an encrypted, password-protected PDF file that is available only to the review committee. No part of the application is stored online. Contact FAR for more information. Central States VHF Society Issues Call for Conference Papers: The Central States VHF Society (CVHFS) is soliciting papers, presentations, and poster displays about any aspect of weak-signal VHF and above operating for the 50th annual CSVHFS Conference to be held in Rochester, Minnesota July 28-31. Authors do not need to attend the conference nor present their papers in order to have them published in the Proceedings. Posters will be displayed at the conference. The deadline for submissions is May 22. Further information is available at the CVHFS website. 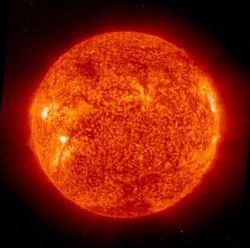 Tad Cook, K7RA, Seattle, reports: Over the past week we saw solar activity decline somewhat. The average daily sunspot number dipped from 55.7 during the January 7-13 reporting period to 46 during the current January 14-20 reporting period. Over the same periods average daily solar flux declined from 106.5 to 100.7. Average daily planetary A index went from 11.1 to 9, and average daily mid-latitude A index drooped from 8.4 to 5.6. Predicted solar flux is 95 on January 21; 100 on January 22-23; 105 on January 24-29; 100 on January 30; 105 on January 31; 110 on February 1-4; 105 on February 5-11; 100 on February 12-14; 95 on February 15-19, and 105 on February 20-25. We saw one new sunspot on January 14, another on January 17, and two more on January 19 and 20. Sunspot numbers for January 14 through 20 were 36, 38, 38, 48, 48, 55, and 59, with a mean of 46. The 10.7 centimeter flux was 103.2, 103.5, 99.9, 100.6, 99.9, 97.5, and 100.4, with a mean of 100.7. Estimated planetary A indices were 8, 6, 4, 4, 5, 11, and 25, with a mean of 9. Estimated mid-latitude A indices were 6, 4, 3, 3, 4, 7, and 12, with a mean of 5.6.